Last year I picked up two Marlin lever guns, one in 30-30 and one in 45-70. Both rifles I ended up putting scopes on, but wanted a way to still have access to my open sights for snap shooting. I opted for a similar setup as to what I have on my old Remington 760 30-06 which uses see through scope mounts and a scope. Having used see through scope mounts on my 30-06 for over 20 years, I have come to love the setup. It allows you the opportunity to just quickly snap shoot as in brushy environments, but allows enables you to use your scope for longer shots. My 30-06 has an old Simmons Prohunter 6-24 x 50 on it for longer shots, but with the see through scope mounts I have used it quite effectively as a brush rifle. The very fast follow up shot capability that a pump or lever action provides really makes the use of see through scope mounts a phenomenal configuration to fully play to these action’s strengths. Jeff Cooper loved the bolt action 30 caliber with a scout scope, but I like my configurations much better. For some reason this type of setup has fallen WAY out of popularity among the general hunting population. 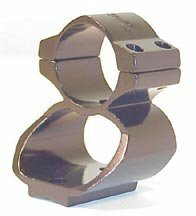 Either that or it never caught on fully, thus making the search for good rings a bit more difficult. 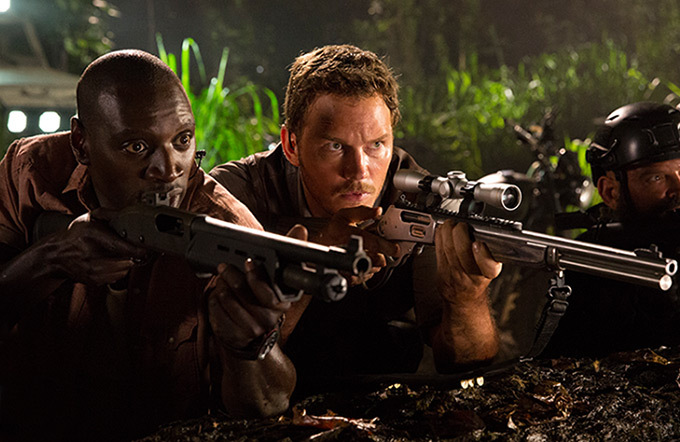 When Jurassic World came out, I noticed that the character Owen carried a Marlin similar to mine and was sporting the Leupold see through scope mounts. Since I am already a fan and have been half heartedly searching for the right mounts I was now motivated to step up my search. 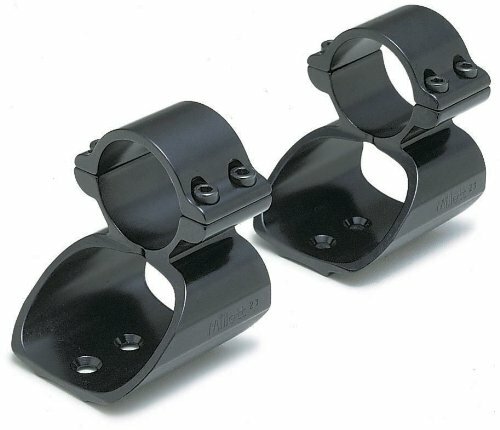 I looked at the Leupold mounts, but only saw versions that required a rail for attachment. The rail was seriously hindering my ability to see my sights and get a decent sight picture. There are more cut down rails available, but I opted to find something that didn’t require the use of a rail. Since I had 2 rifles and no way to really check out the quality of either product, I ordered one of each and figured if either one was horrible I could just order an additional of the good one. Luckily for me, both seem pretty nice, installed easily, allow a great sight picture, and handle the recoil without loosening up. Also, it was nice that the Kwik-Site was a polished blued steel color while the Millett was a bit more matte colored. This means that both my rifles also have rings/mounts that match the rifle and scope. I was actually a bit worried about the Kwik-Site mounts because I have never heard of them before. Interestingly enough the mounts handled the recoil of my 45-70 without issue, never slipped, and after sighting in I was making little flower patterns at 50 yards because I was going through the same hole with every shot. As a point needing noted: bench rests are amazing for sighting in your rifles. Four shots are needed instead of countless rounds to get fully sighted in. The iron sites are also afforded a completely unobstructed view of the target with both models. All said and done, I am quite pleased with both products. On my next day shooting I will take some time and get some pictures taken of both the mounting system and a sight picture on both rifles. It will also help you to understand the versatility of this configuration. On a parting note, I am very happy to finally see Hollywood using their heads for once. Normally they like to push the tacti-cool aspect of firearms. Finally they actually armed a character with a weapon system that was truly perfect for both the environment and the background of that character. Kudos to you guys on this one. Here is a shot from the movie with the rifle setup I am referencing. This entry was posted in Firearms and tagged mounts, open sights, scope mounts, scout rifle, see through, see through scope mounts, see thru, see thru scope mounts on August 19, 2015 by Woodsbum.